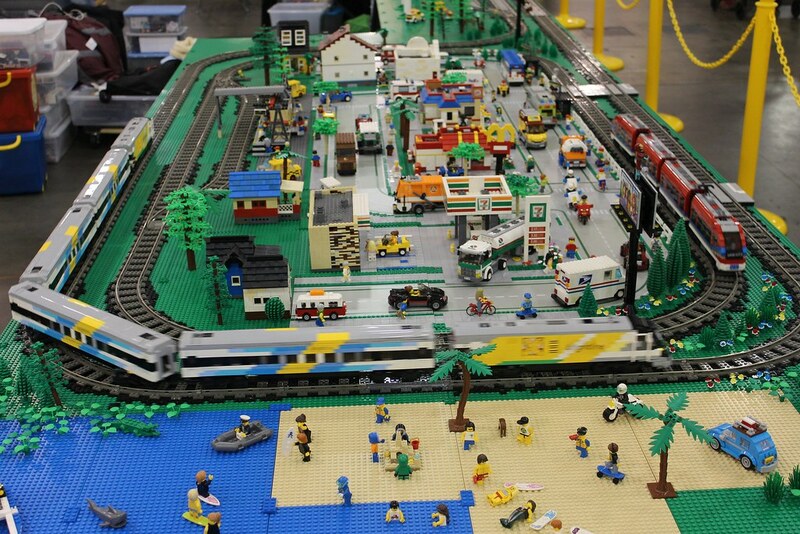 Apologies if there is a separate board for train shows that this belongs better in. 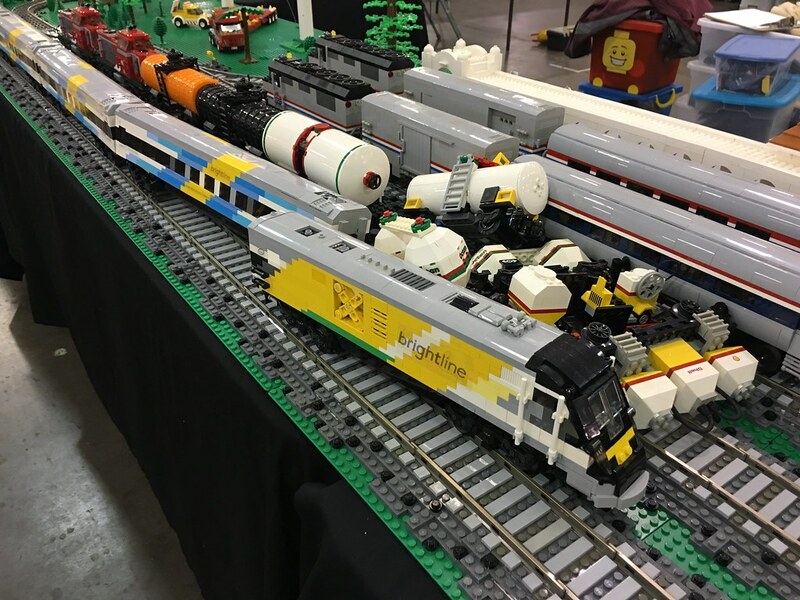 I just got home after a weekend of operating and manning a layout with fellow GFLUG members at the twice annual train show in Tampa, FL. This has historically been my most visited show, my 7th time in the Fairgrounds, and was quite a doozy with half of the club unfortunately down with the cold myself included, bleak weather, but on a far brighter note, tease tease, a lot of interesting and new features on display. 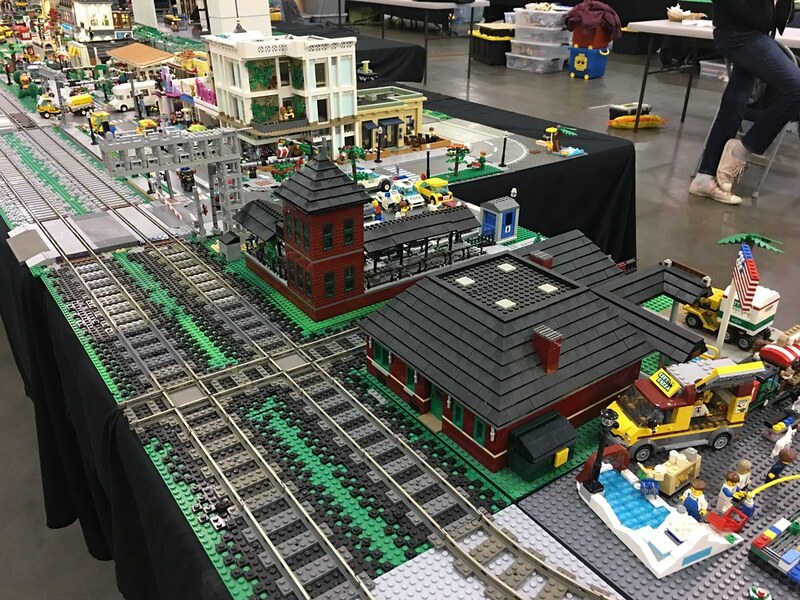 A modular corner I built made its first appearance, and a railroad attraction from Plant City made its first major appearance. 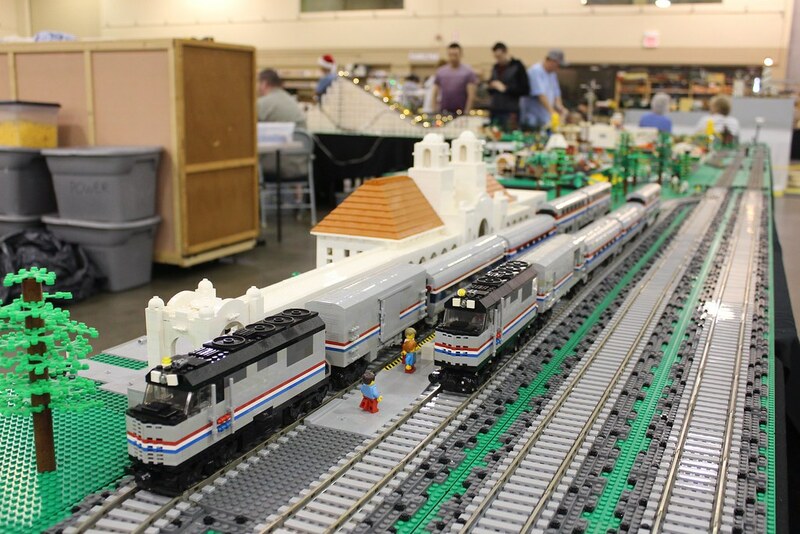 An amazing true to self MOC of the Orlando, FL Amtrak Station made its first ever appearance, on a fellow member's side. We worked on it the night prior up until 1AM! Barely any sleep ensued. For the first time in two years, the Downtown Tampa skyline started to return. A new member brought spaceport stuff. 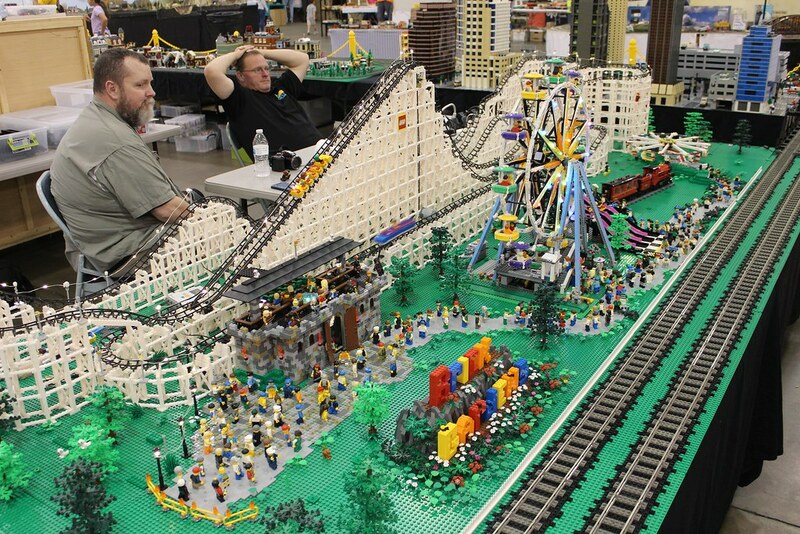 A giant amusement park was added. I'm starting to divulge the various media. 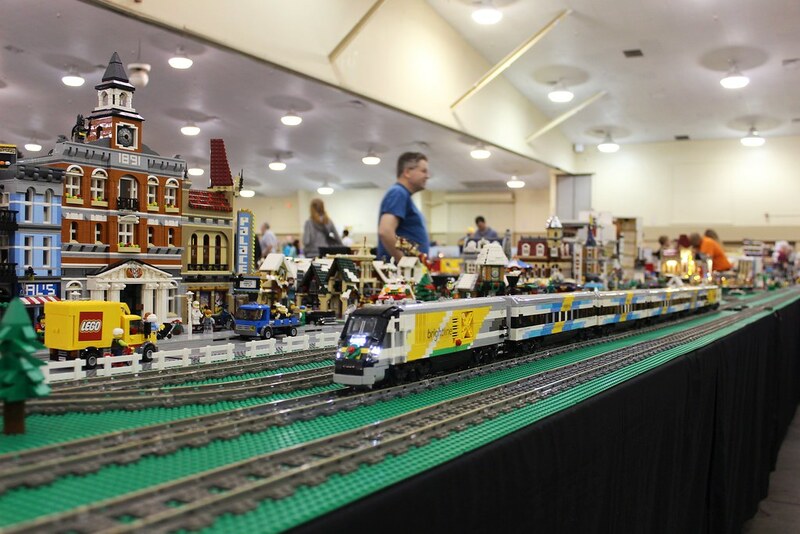 I have a couple high res (automatically embedded here with some sort of resize) photos but one video as well, at this point the video more so showcases the layout in the eyes of chasing my Brightline set around as a teaser of the layout's details, but a walkthrough will follow. Thanks for showing. Always nice to see. And great for inspiration as well. Nice layout. I like the Brightline train. It looks sharp. Beautiful trains and huge roller coaster! Thank you for sharing. Great layout. The POV looks like a upper level ride in the Amtrak Superliner cars. I gotta remember to do a passenger view for my next POV. 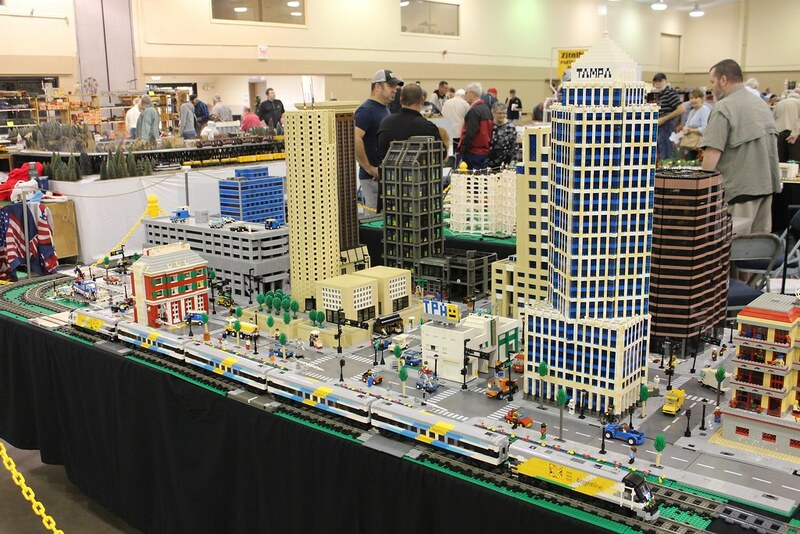 That's a massive amount of LEGO to transport. How is that giant crate structured internally? The giant crate hauls two pieces of the rollercoaster module. It does feel like an upper level ride, that is correct. All hinges on the positioning of my iPhone camera. - is there any more info/pictures on the working hand car (being pulled earlier in the video? Also is there more info on the roller coaster... This looks to be similar to the one that stood in the fairgrounds in Atlanta ? 2. I think it uses something called SBricks it was a custom job by James Burrows and he took it well across the country, and I believe it is a Cedar Point coaster. 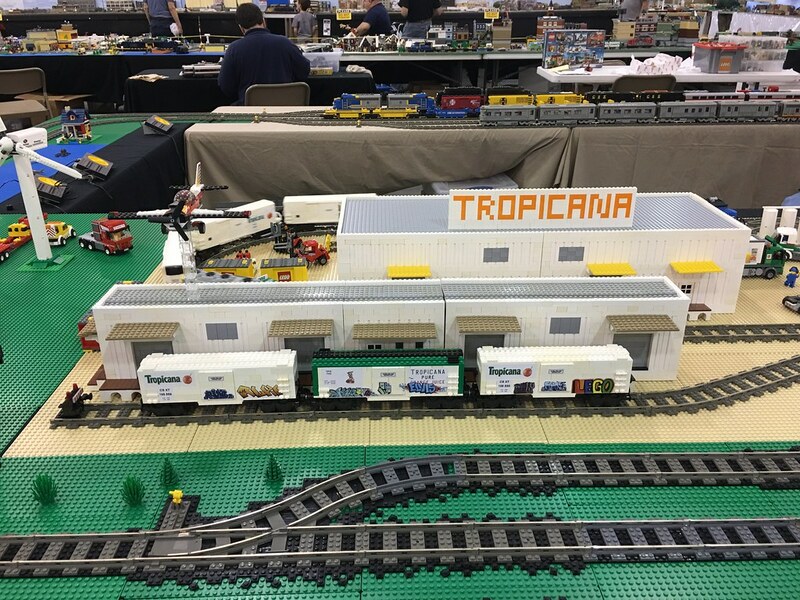 I like the csx train and tropicana factory shown in 19:30 of this video. 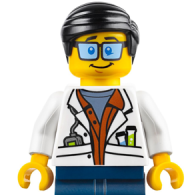 Are there any photos of that part available?